I was captivated by the living portraits described by the author; both as to their performance and personality. His description at times is so alive that the artist under discussion seems to be playing for me. Every detail is analyzed with microsopic precision, and never for a moment does the narrative fail to convey the overall dimensions of the artist's life, the time in which he lived and his place in musical history. Roth's encyclopedic knowledge, profound powers of evaluation, uncompromising honesty and boundless enthusiams place him among the top writers dealing with the art of violin playing. 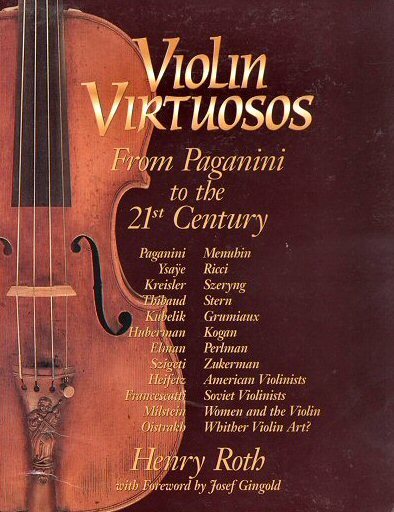 I loved reading this extraordinary book which I am sure will be read with interest and joy by violin lovers, be they professionals or amateurs.